Why letting them “move on” is sealing their fate. This happens all the time. 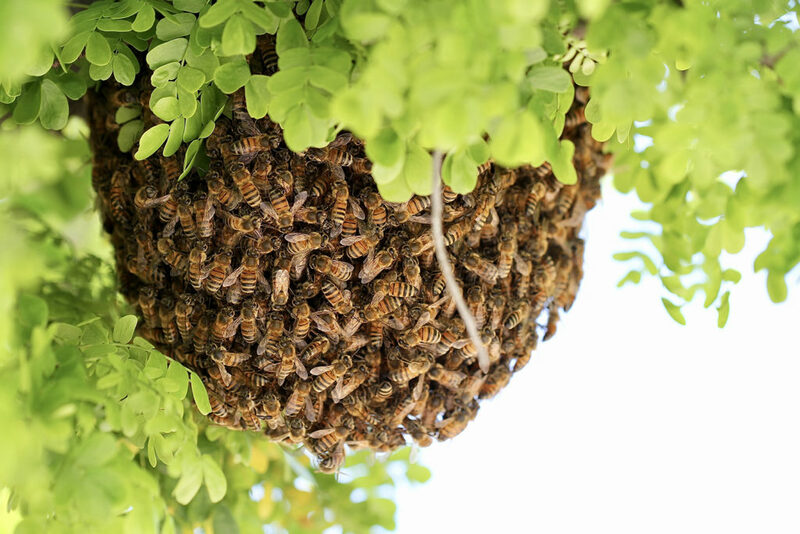 Someone posts a photo of a Honey Bee swarm on a tree or on a bush on gardening groups and its immediately followed by an endless stream of comments (well-intentioned, but ill-informed), that go something like this: “They’ll move on, let them be”. Now, will they move on? Yes, they will. Here is the problem: WHERE will they move on TO? With the exception of a few lucky ones (usually in rural areas), most swarms will not move on to have a happy and productive life. They will move in to a man-made cavity where they will go on undetected for a period of time. Eventually they will grow too large, become defensive and, inevitably, be discovered. Unfortunately, in most cases, they will end up being exterminated. 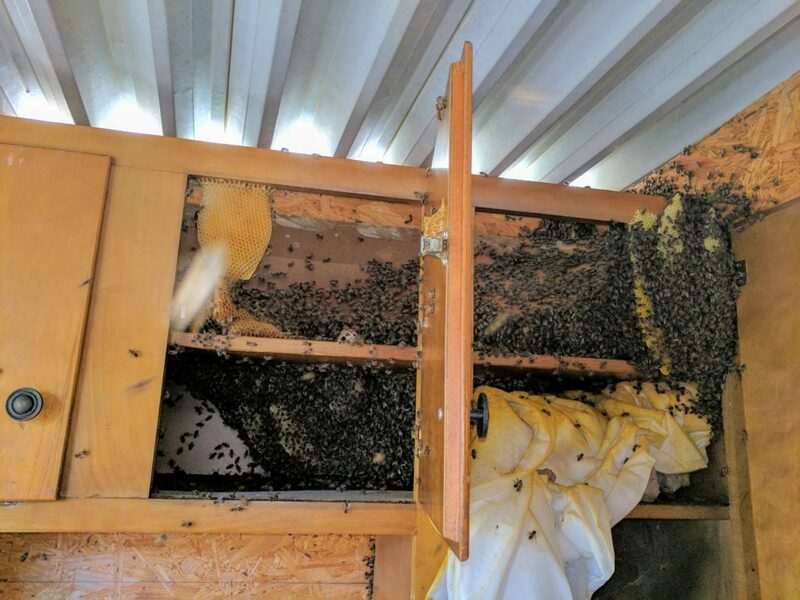 In some cases they will be relocated by a beekeeper, but likely left with pricey repair costs. Will they move on? Yes. Should you let them move on? No, it’s a dice roll. If you’re lucky and they don’t move on to their permanent home in your property, you have made them someone else’s problem and sealed their fate in the process. 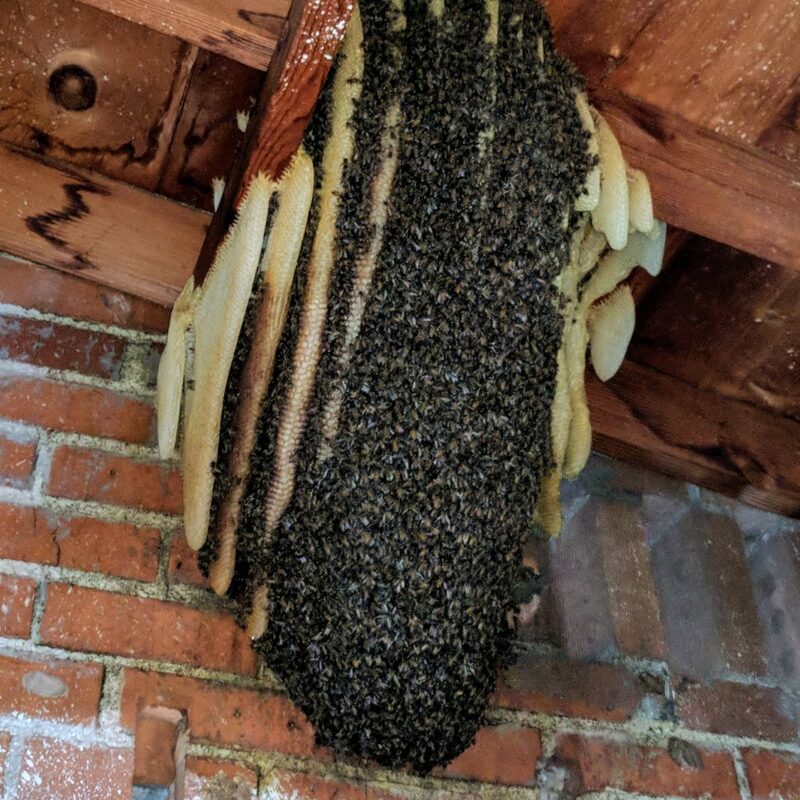 The best case scenario for a swarm of Honey Bees, is to be relocated by a beekeeper while they are still a docile swam. A beekeeper will relocate them to a beehive, look after them, feed them and allow them to continue performing their vital role. 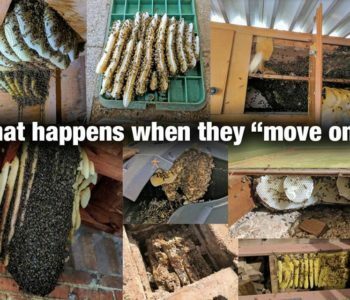 Help save them, contact a beekeeper and have them relocated. Some beekeepers, if they like you, will do it for free. Some will charge a small fee to help with gas and other costs (insurance, equipment, feed, etc). Unfortunately, some might try to charge an insane fee, just move on and call the next one. 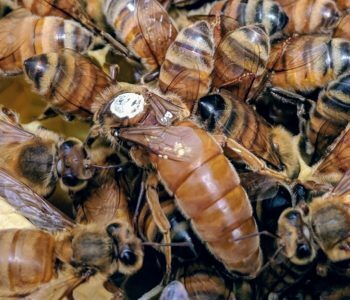 If you’d like to learn more about Honey Bees swarms and what they do, please read this honey bee africanization and safety article. 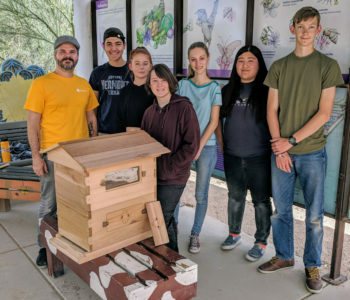 We had a wonderful time today during the 4-H beekeeping workshop at the Tucson Village Farm. 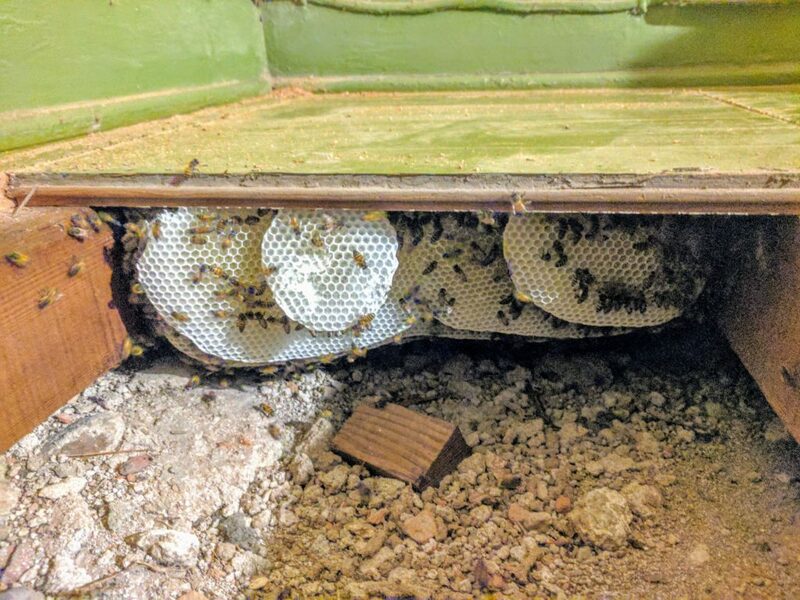 We cannot thank Bee Built enough. 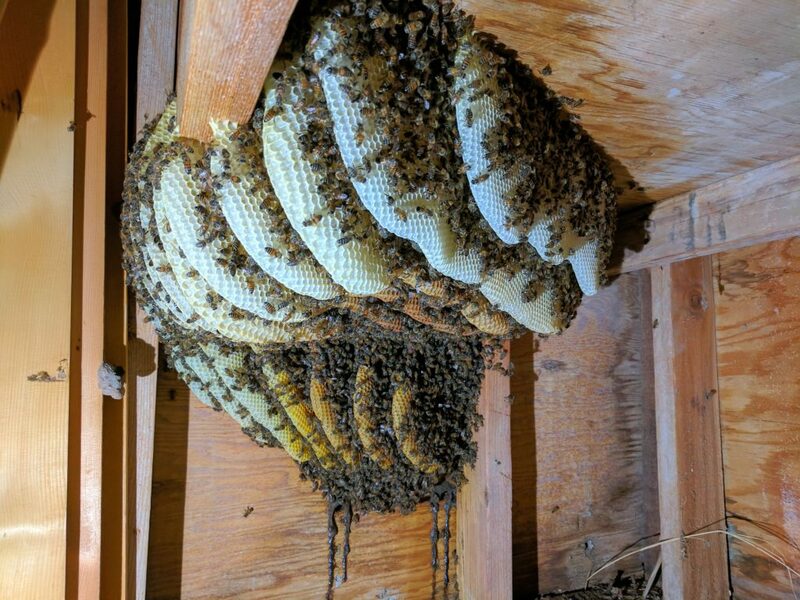 They unselfishly and generously donated this beautifully crafted beehive made out of cedar in Oregon. Thank you, Ed. The kids loved putting it together. It will be on display at our booth at the Pima Fair and then it will return to the farm where it will live permanently. 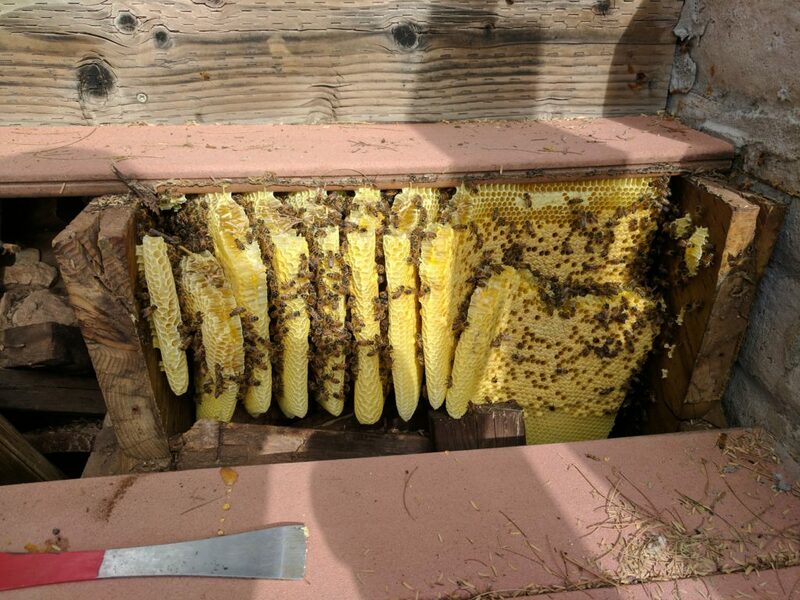 Today we inspected our hive at the Tucson Village Farm. These girls are getting ready for spring with a big jump in population. The queen is laying exceptionally well. They were treated with OA for a second time. In one of the pics you can see the mite drop from last week’s treatment. Another gallon of syrup was provided to help boost the growing colony.